I recently attended a 2 day training event in Brighton entitled "Working with Problem Gambling" with GamCare Clinical Training Officer Trevor David. Gamcare was founded in 1997 and is a charity that provides information, advice, support and free counselling for the prevention and treatment of problem gambling. They also engage in ongoing research around the issue of problem gambling and work with gambling companies to develop responsible policies. 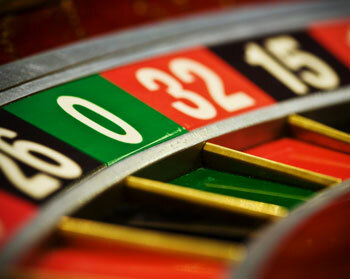 Training focused on problem gambling and pathological gambling. In 2010 approximately 0.9% of the GB population met the DSM IV Pathological Gambling criteria up to around 450,000 people. In the USA the proportion is 3.5% and in Hong Kong it's 5.3%. Canada and New Zealand are at 0.5%. There is persistence even when losing, and a tendency to "chase losses"
There is a risk of suicide with problem gamblers - 13% reported an attempt, and 26% of pathological gamblers had attempted, so this is an important part of the assessment process and shows the necessity of support. I was relieved that we weren't told exactly how to run the sessions but given background information about gambling and tools to incorporate in our existing practice, including existing models of problem gambling, tips on how to work with inevitable ambivalence and an introduction to Motivational Interviewing which fits in very well with my person-centred/existential leanings. MI is "a collaborative, person-centred form of guiding to elicit and strengthen motivation for change". The 2 day course was jam-packed with information - there was so much to learn delivered in a variety of teaching methods. What helped enormously was Trevor David's teaching style which, whilst professional and informative, had a distinct edge of sharp humour, self-disclosure and humanity. Since learning that latest neurology states that when we learn, “the recall of new facts is enhanced by the presence of certain degrees of emotion during learning” (Antonio Damasio 2000), I have appreciated being taught in a vivacious way that doesn't reply only upon academic fact being imparted. I see gambling as a form of addiction, not dissimilar to addiction to substances. In the case of gambling, the person is addicted to the neuropeptides and neurotransmitters (the body's natural chemicals) that are released when gambling, whether they win or lose (see quote at the start of this blog post!). The person suffers withdrawal symptoms when they try to stop this behaviour. The cells of their body are used to receiving certain levels of these chemicals and when they stop, their body's homeostatis is sent out of kilter. The unconscious, survivalist part of the brain sends messages to say "get those chemicals" and highjacks the thinking part of the brain (the frontal lobe) into making decisions that will restore the homeostatis - i.e. we will engage in behaviour to ensure we get those certain chemicals we're used to by partaking in gambling. This model of addiction to our own chemicals can help explain why people may struggle with anger, stay in abusive relationships, or not be able to stop worrying. I also share some of the ideas of the psychodynamic approach to gambling which says that gambling behaviour is a reenactment of an unresolved conflict. This may make sense to you when you consider that there is often a cycle of low self-worth, followed by gambling until one has nothing left, followed by a further dip in self-worth. Why would somebody carry on doing the very thing they are ashamed of, that is getting them into financial and relationship trouble, if there wasn't some pay off in the wretchedness they suffer after the event? The same applies to people with problems with substances.